Croatian Society for Rheumatology congress is held each year in October. Please refer to links below for more information. Musculoskeletal sonography course for rheumatologists, Zagreb 2018 is intended to be a combination of lectures and practical sessions. The course is consisted of theoretical talks and supervised hands-on scanning of healthy persons and/or patients with musculoskeletal disorders. The Course is in a proces of CME accreditation at the Croatian Ministry of Health. Registration is intended to be opened for all EULAR member countries. Formal evaluation of the course will be performed by all attendees at the end of theCourse. Registration fee: 1000 EUR per person ( three days course). Food and accomodation areincluded in the price. The number of participants will be 30 people. Musculoskeletal sonography course for rheumatologists will be held in Zagreb, February 2nd - 5th, 2017. It is intended to be a combination of lectures and practical sessions. The course is consisted of theoretical talks and supervised hands-on scanning of healthy persons and/or patients with musculoskeletal disorders. Institutional Organizer: Clinical Hospital Center Zagreb, Department of Rheumatology, University of Zagreb, Croatia. Scientific Indorsement: European League Against Rheumatism (EULAR) Croatian Medical Association Croatian Society for Rheumatology. On behalf of the Organising Committee we invite you to the 1st Congress of Rheumatologists in Bosnia and Herzegovina with international participation to be held from 6th to 9th October 2016. in Sarajevo. This congress is a result of a long and hard work and desire to bring us together and steer us towards the common goal - a more successful treatment of our patients. We hope this congress will provide an opportunity for the selfless sharing and dissemination of knowledge and experience, creative discussion and new friendships. You can find more info on congress website. XVII Mediterranean Congress of Rheumatology will be held in Genoa from 12th to 14th of april 2018. Abstract submissions are open. Abstracts should be submitted no later than December 15, 2017 by the online abstract submission form. The official language is English. No simultaneous translation will be provided. Attendance certificates will be delivered to all regularly registered participants at the end of the meeting. 15.th annual congress of Croatian Society for Rheumatology will be held at Hotel Le Meridien Lav, Split, 17.10.2013 - 20.10.2013. Download program, poster, travel info and view newsletter. Prague, October 5th - 7th, 2017. Abstract submissions are open until May 28th. 3rd Musculoskeletal sonography course for rheumatologists - basic level -Zagreb, May 29 - May 31, 2014. On behalf of the Organizing Committee, it is our great pleasure to invite you to the 27th International Musculoskeletal Ultrasound Conference hosted by the Musculoskeletal Ultrasound Society (MUSOC), the Israel Society for Diagnostic Ultrasound in Medicine (ISDUM), the Israel Society of Rheumatology and the Israel Society of Orthopedic Surgeons. 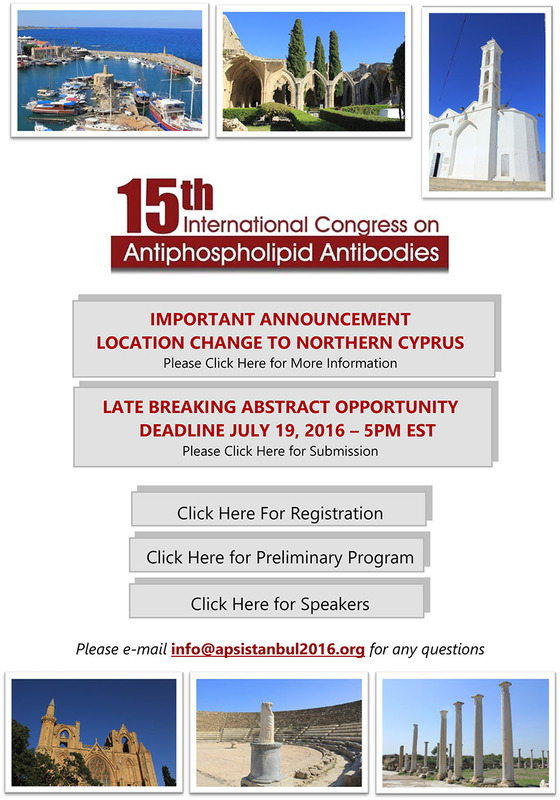 The meeting will be held in Tel Aviv, Israel, from October 15-18, 2017. The Congress will be a great opportunity to hear educational lectures focused on MSK-US anatomy and pathology, live demonstration and hands-on workshops delivered by world class International Faculty. The Congress will as well offer poster exhibition and an extensive technical exhibition. Tel Aviv is Israel’s largest city located along the beautiful Mediterranean coastline, and renowned for its distinctive Bauhaus architecture. This busy metropolis invigorates visitors with a unique energetic atmosphere, outstanding museums, cultural events, international cuisine, and non-stop active nightlife. As an ancient metropolis, Israel now not only boasts a modern thriving economy, but also a culture rich with historical sites and a diverse heritage. Jerusalem, the capital city, is sacred to three monotheistic religions: Judaism, Christianity and Islam. MUSOC 2017 will be held at the Dan Panorama Hotel, located on the beachfront promenade and neighboring the ancient port city of Jaffa, a step away from Neve Tzedek, Israel’s largest open-air market and Tel Aviv’s oldest and most fashionable neighborhood. We look forward to welcoming you to Tel Aviv. 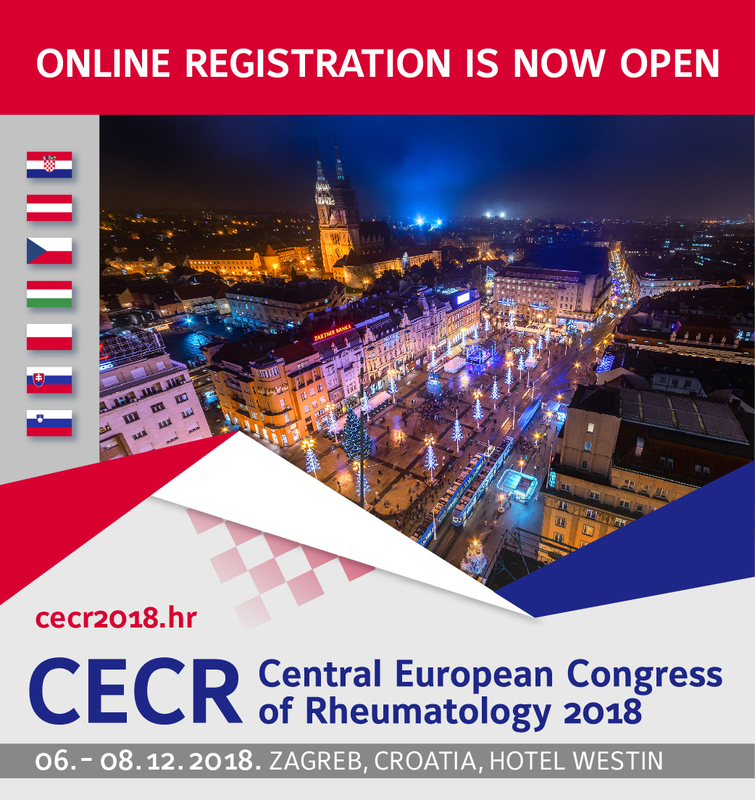 Central European Congress of Rheumatology (CECR) is a traditional meeting of rheumatologists and it is organized every other year by seven central European countries (Austria, Czech Republic, Hungary, Poland, Slovakia, Slovenia and Croatia). Since its introduction, CECR became the perfect place for exchange of scientific and clinical information. 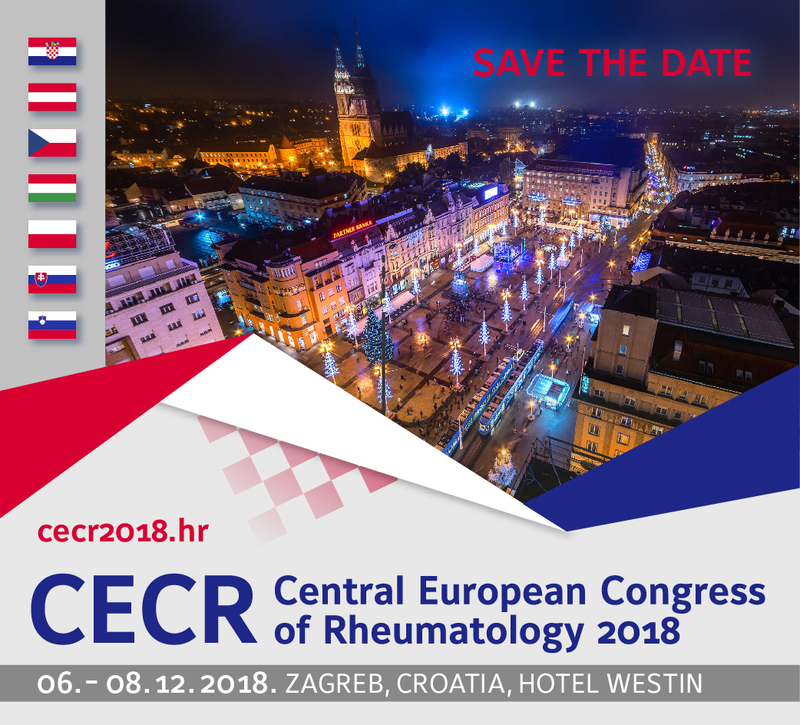 At the end of this year CECR 2018 will be organized in Croatia in Zagreb between 6th and 8th of December. The Department of Medical Sciences of The Croatian Academy of Sciences and Arts in cooperation with the Department of Biotechnology University of Rijeka is proud to announce the 2nd edition of the “International Conference on Regenerative Orthopedics and Tissue Engineering”, to be held in Opatija, Croatia on September 21-22, 2012. Croatian Society for Rheumatology 13th congress will be held in Cavtat on 20 - 23 October 2011. CORA 2017, the 4th International Congress on Controversies in Rheumatology & Autoimmunity, offers a fresh and interactive format where acclaimed experts debate pertinent issues affecting rheumatology, autoimmunity, clinical immunology and related fields. Participants will witness astute debates on the hottest topics: diagnostic and treatment options for RA and SLE, psoriatic arthritis, spondyloarthropathies, systemic sclerosis, fibromyalgia, vasculitis, gout, osteoarthritis, the microbiome, personalized medicine, and ASIA syndrome, as well as therapy withdrawal in remitted patients, use of biosimilars, Vitamin D supplements and many other topics. For the debate topics, click here. The 12th International Congress on Systemic Lupus Erythematosus (LUPUS 2017) & the 7th Asian Congress on Autoimmunity (ACA 2017) are proud to invite you to Melbourne, Australia, 26-29 March 2017. LUPUS 2017 & ACA 2017 are dedicated to bringing participants the latest and greatest developments in treating lupus and autoimmune diseases. This year's speakers boast a variety of expertise that will present the most up-to-date research and practice across all the specialties working on SLE and Autoimmunity. Don't miss the opportunity to make your voice heard. The abstract submission countdown has begun, submit yours today! It is our great pleasure to invite you to the 27th International Musculoskeletal Ultrasound Conference hosted by the Musculoskeletal Ultrasound Society (MUSOC), the Israel Society for Diagnostic Ultrasound in Medicine (ISDUM), the Israel Society of Rheumatology and the Israel Society of Orthopedic Surgeons. The 12th International Congress on Systemic Lupus Erythematosus (LUPUS 2017) & the 7th Asian Congress on Autoimmunity (ACA 2017) are proud to invite you to Melbourne, Australia, 26-29 March 2017. This exciting joint SLE Congress and Autoimmunity Congress will be a platform for building bridges between clinicians and basic researchers, focusing on global progress in translational research in SLE and autoimmunity. The theme of ACA will be "Microbiome, nutrition and autoimmunity". Join colleagues from multiple disciplines, including rheumatology, immunology, dermatology, nephrology and autoimmunity to explore the latest findings and practices at this highly anticipated joint-congress. Retired members are not required to pay the membership fee! CECR will be held at 6.-8. 12. 2018., Zagreb, Croatia, Hotel Westin. HRD Congress will be held as a part of CERC on 8. 12. 2018. at the same location. 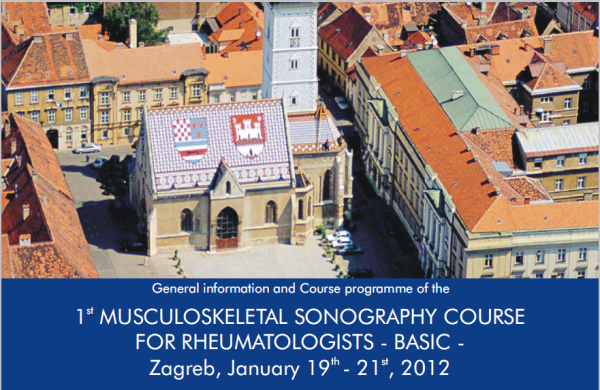 Musculoskeletal sonography course for rheumatologists, Zagreb 2012 is intended to be a combination of lectures and practical sessions. The course consists of theoretical talks and supervised hands-on scanning of healthy persons and/or patients with musculoskeletal disorders. Sponsorship: ESAOTE, General Electric, Olympus, MSD, Abbott, Pfizer, Roche. ESAOTE, GE and Olympus will provide ultrasound equipment free of charge. Sponsors will not have any influence on the course programme, scientific and other content, or speakers in any way. The Course is in a proces of CME accreditation at the Croatian Ministry of Health. Registration is intended to be opened for all EULAR member countries. Formal evaluation of the course will be performed by all attendees at the end of each course day. The number of participants is limited to 30. This 3-day course fee will be 1000 EUR per participant (lodging and food is included in the course price). Download booklet, programme and application form. Musculoskeletal sonography course for rheumatologists, Zagreb 2017 is intended to be a combination of lectures and practical sessions. The course is consisted of theoretical talks and supervised hands-on scanning of healthy persons and/or patients with musculoskeletal disorders. Croatian Society for Rheumatology 13th congress, Cavtat, 20. - 23. October 2011. October 13th-15th, 2011 - La Cite Nantes Events Center, Nantes (France). Abstract submission is open on www.atout-org.com/sofmer2011, on the « Call for Abstract » page. IMPORTANT: Your abstract has to be submitted in French AND in English. Further information are available on the congress website.